Whenever @amalielee posts a photo of us having fun or when @bodyposipanda shared that same photo, there were one too many comments about how Amalie is “using me”. There were too many people questioning Amalie’s intention and our friendship. Was she using me to seem more body positive? So let me address that once and for all. Let me be VERY clear, Amalie is not using me. Not my Instagram friend, my friend. We hang out A LOT. AND we spend most of our time talking about things unrelated to Instagram. For amalie to “use me”, my body must be worse. I don’t know whether you’ve got your eyes checked recently but I don’t see a “worse” body above. I see my body and I see hers. I wouldn’t want hers, not because it’s not beautiful, but because I worked so hard to love mine. Amalie’s body is beautiful but it’s not mine. It doesn’t tell my story, it doesn’t keep me alive at night when I turn my mind off. It is not me. We are both winning in the battle of bodies because we are still in this battle called life. It doesn’t matter how many scars you get in battle, you are still in the game until the referee calls TIME. And we both are each other’s cheerleaders cause that’s what friends do. We both had a lovely time at @instagram ‘s event today! 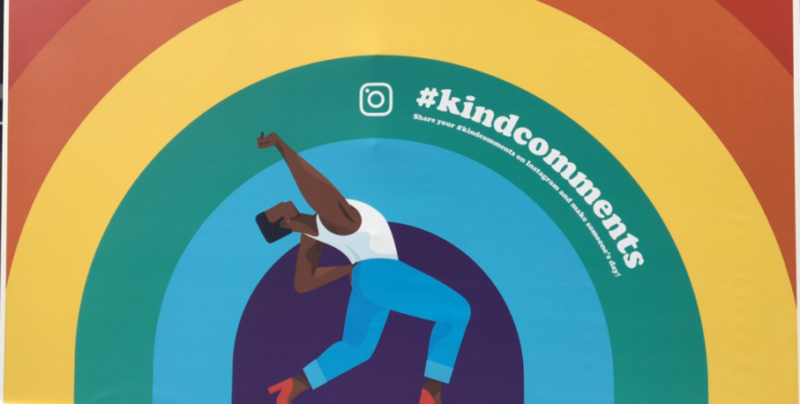 Join the movement and hashtag #KindComments and let’s keep our online space positive and supportive.